Therapy for any mental disorder or addiction is stressful and intense. The experience changes the individual permanently, ideally for the best. There is no one method of therapeutic treatment; there are many that affect the recovery of patients differently. Some patients respond well to group therapy, while others do best with individual therapy sessions. Nowadays, therapy expands beyond traditional methods and can include aromatherapy, dance movement therapy, and even pet therapy. When I suffered from an eating disorder, pet therapy rehabilitated me. I had my first pet therapy session during my second hospitalization, just a week after my first four-week stay. I felt stressed, anxious, and depressed. I refused to participate in groups and hardly spoke in my individual sessions. I had fallen apart. Pet therapy turned around my recovery and changed my life, and I believe it can do the same for others. When I saw pet therapy on my schedule--a group session for a saturday morning--I felt curious and a little excited. This was my first pet therapy session, a novelty that offered me a brief reprieve from the monotony of typical daily group sessions. I arrived early and waited for the dogs. When the dogs walked in on special, labeled leashes, all of the patients flocked to the furry volunteers, ruffling their fur with exaggerated affection. Not a single dog squirmed or barked, like they knew we needed them. Like they knew we were broken. One of my peers cleared a path for me to reach one of the dogs. I hesitantly placed my hand on its head, and it stared up at me with big brown eyes. Relief flooded through me. The dog laid on its side, and I felt my stress levels fall down with it. I rubbed circles into its stomach. According to the owner at its side, the dog liked me. I was the last patient to leave, and only stopped rubbing the soft, hairy tummy when the psychology technician told me I must. Reluctantly, I removed my hand, relishing in the joy and peace the session had brought to my situation. Three days later, the hospital released me. My recovery turned around after that morning with the dog. I adopted a more positive outlook, and this changed my surroundings. Once released, I returned to the day program I was in previously for my eating disorder. I never had another pet therapy session, but I will always remember those special, peaceful minutes that affected my recovery. These days, I make do with my own guinea pig and leopard gecko. Though taking care of these animals is not scheduled pet therapy, these beloved creatures give me strength and resilient to negative behaviors. 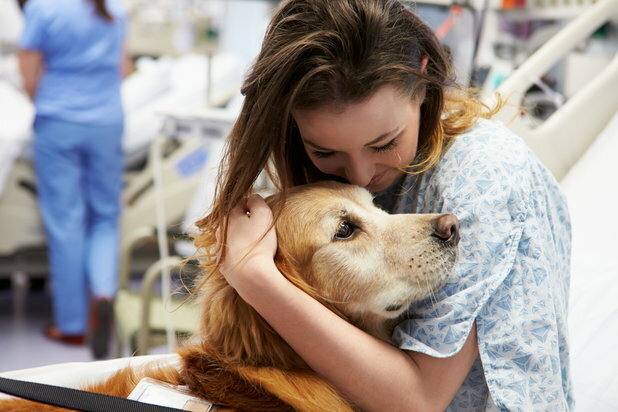 Holding my pets brings the same calm that I received from the dog on that day in the hospital. Animals understand us better than we know. They understand when someone needs extra love in his or her life, or when someone is going through a life-altering experience. Pet therapy turned around my recovery and changed my life, and I believe it can do the same for others. 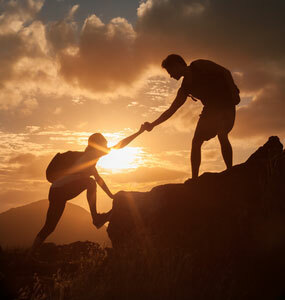 If you or someone you know is seeking eating disorder treatment, please visit our directory of treatment centers or call 800-772-8219 to start the path to recovery today.